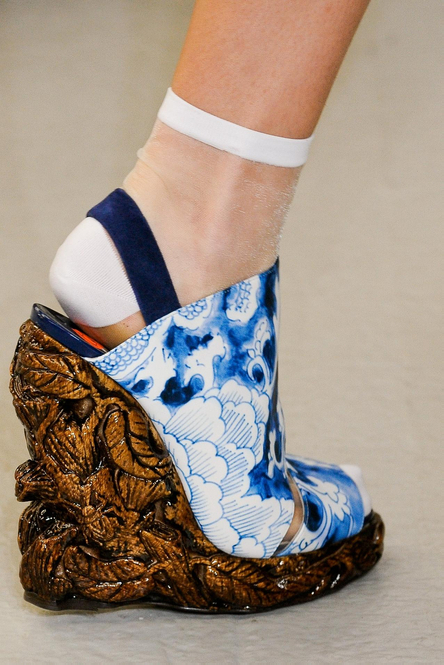 The Sche Report is spotting great shoes on the Spring 2011 runways and among them are exquisite collaborations between designers and red-hot shoemakers. The beauty of collaborations is the creation of innovation through combining different aesthetics and the ones we spotted are beautiful, courageous, and highly covetable. The good news is that this season presented both high-high and high-low collaborations both guaranteeing to form long lines behind the registers this spring. Here are 10 highly anticipated collaborations that we are excited about! 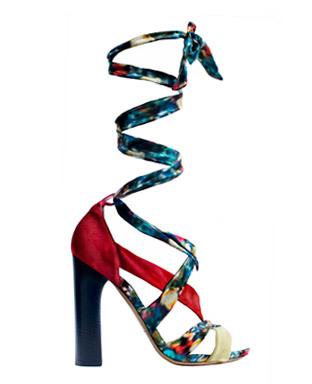 Ingelmo took on Chris Benz’s quirky and girly energy to create a series of platform sling-back floral wedges. Perfectly girly and with an “oh so right” 70’s slant. 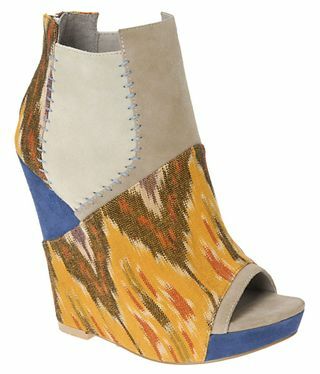 Loeffler Randall created 2 styles in 4 prints for Suno’s Spring 2011 collection. 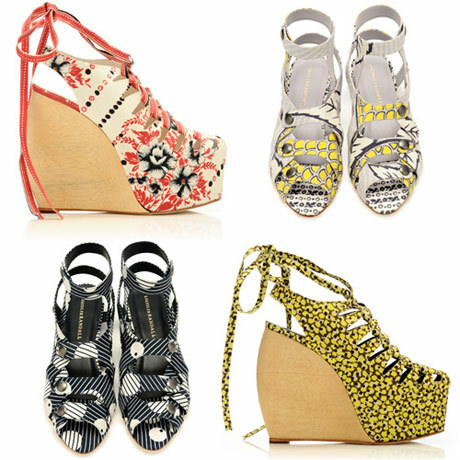 Full of bright summer energy, the wooden wedge and beach-friendly flats will be turning heads everywhere as one of Spring’s most covetable designs. After last season’s smash hit, Kirkwood once again teamed up with Rodarte for Spring 2011. While the focus is still on the heel, it got chunkier and went from melted wax to carved wood to play along with the Muleavy sister’s Northern California backyard inspiration. 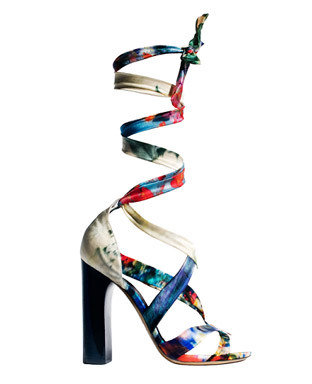 Floral and feminine, the runway shoes are extremely ladylike and wearable with floral strappy heels and lace embellishments. The perfect pairing for Spring’s ladylike trend. For two more days you can pre-order these styles on Kirkwood’s site here. 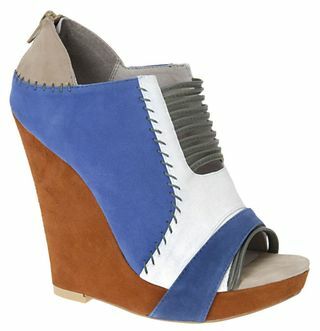 A big fan of the rectangle heel, Kirkwood combined architectural design with an artist’s viewpoint. Taking notes from the big trend of Collage work on the runway, these styles combined textiles and fabrics to contrast Pilotto’s dreamy mid-calf dresses. The styles below may also be pre-ordered on the Kirkwood site. To compliment the collage inspired collection of London’s Van Der Ham, Kirkwood focused on tonal colorations mixing velvet and leather to produce a fascinating mix of expression. The mass market giant teamed up with Zac Posen to inject some of his signature high drama glamour into Steve Madden’s mass market appeal. Payless has teamed up with other designers such as Isabel Toledo, and now they are partnering with Project Runway winner Christian Siriano. 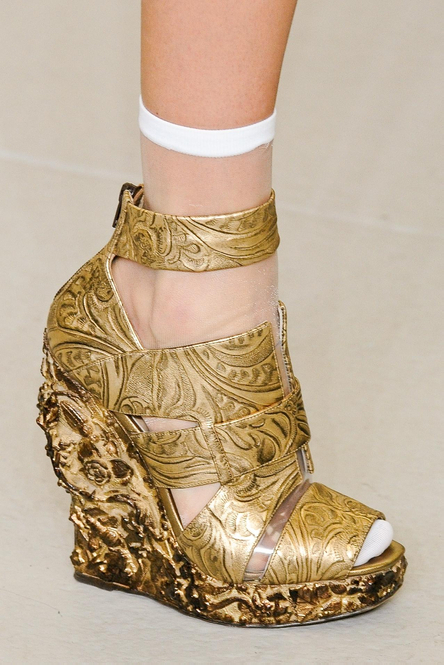 The styles debuted on the designer’s Spring 2011 runway in NYC and will hit stores in early November. 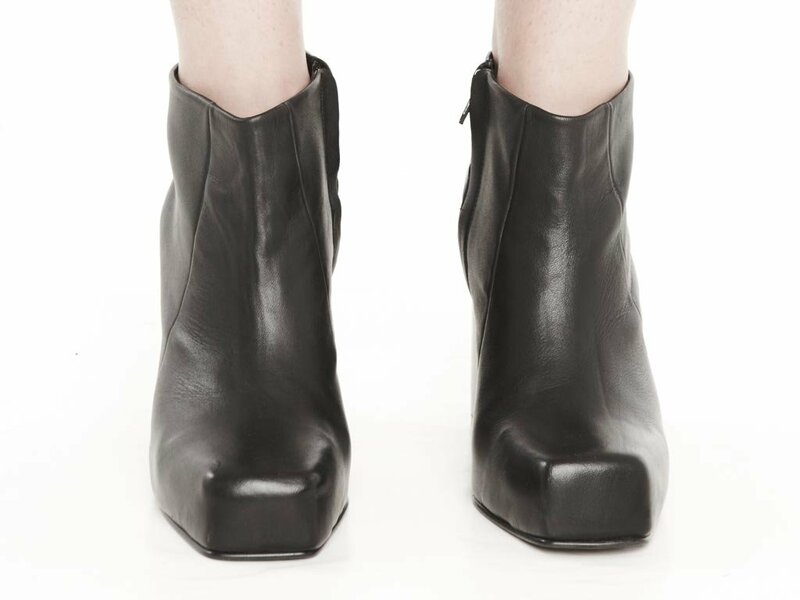 The Sche Report has already featured Rad Hourani’s unisex line, and within the same collection are shoes Hourani created for Aldo. 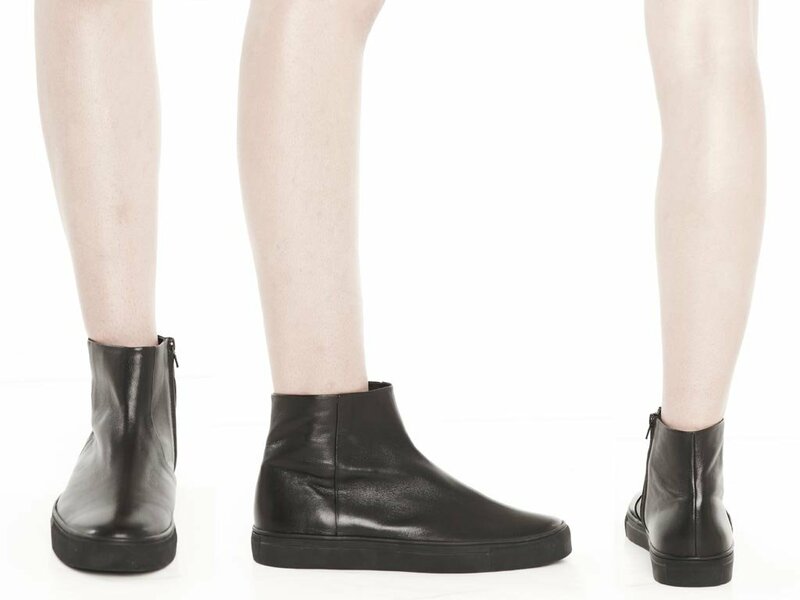 Meant to be unixsex, the collection consists of 2 pairs of heels and a round toe high-top sneaker. 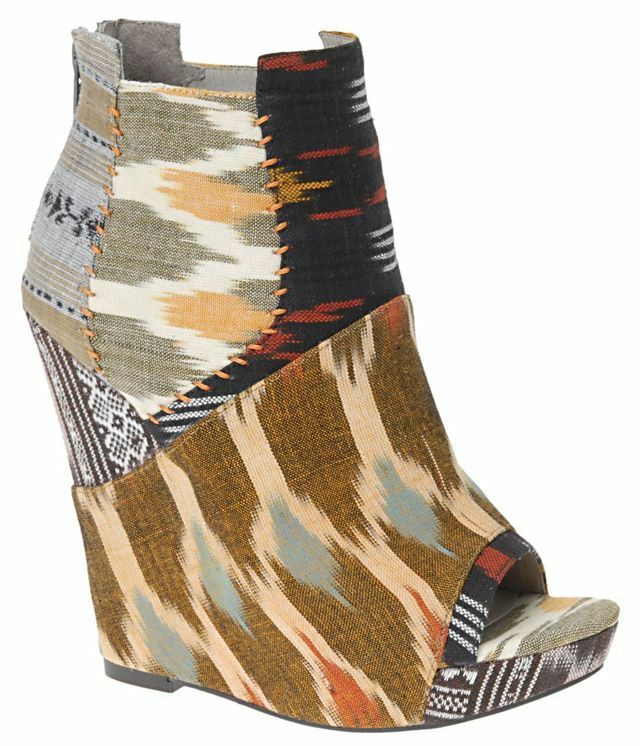 Aldo also teamed up with lower profile designer Julien Louie to create a range of fun, ethnic wedges combining tribal prints and suede- two of Spring’s hottest accessory trends. In related news, shoe lovers rejoiced when London’s Selfridge announced the opening of the world’s largest shoe department. Located on the 2nd floor of the famed British department store, the “Shoe Gallery” will opens today and will showcase more than 4,000 pair of shoes from over 120 brands and features over 30 designer exclusives including Chanel, Prada, Christian Louboutin, Jimmy Choo, Topshop…etc. The space will be divided into themed sections and is aimed to provide luxury, style, and comfort in a “shoe as art” environment. 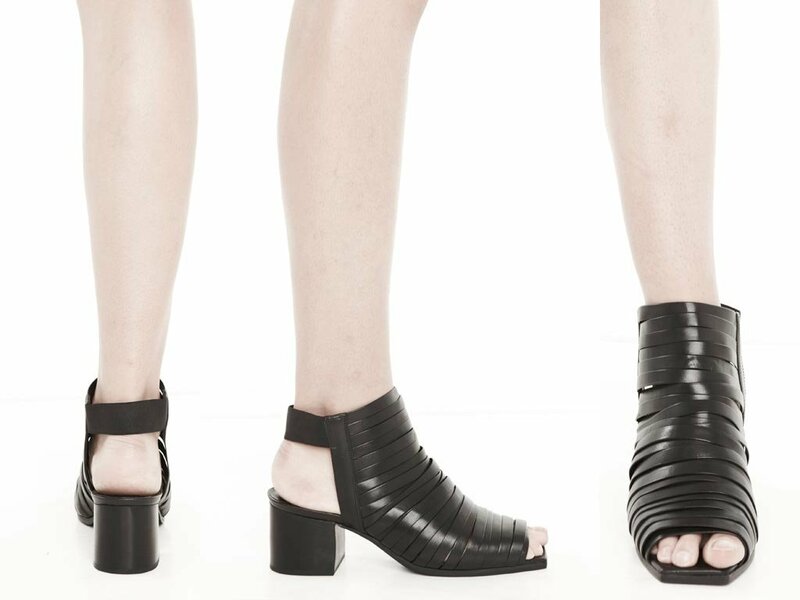 Love your Fashion Footwear 411. Keep it coming-always looking for more of your picks! Thank you so much for the feedback, please continue to check in for more fashion forecasting and the future of fashion!